After I posted this stock on 24/06/14, I received many emails from readers because, it dropped continuous for the next 4 days. They asked me whether to hold on to it or just manually the position, etc. Some of them had bought this stock based on my call while others had been stuck with this stock for a very long time. I replied them that the last 4 days of sell volume are low and they are basically sold by a few small cats. 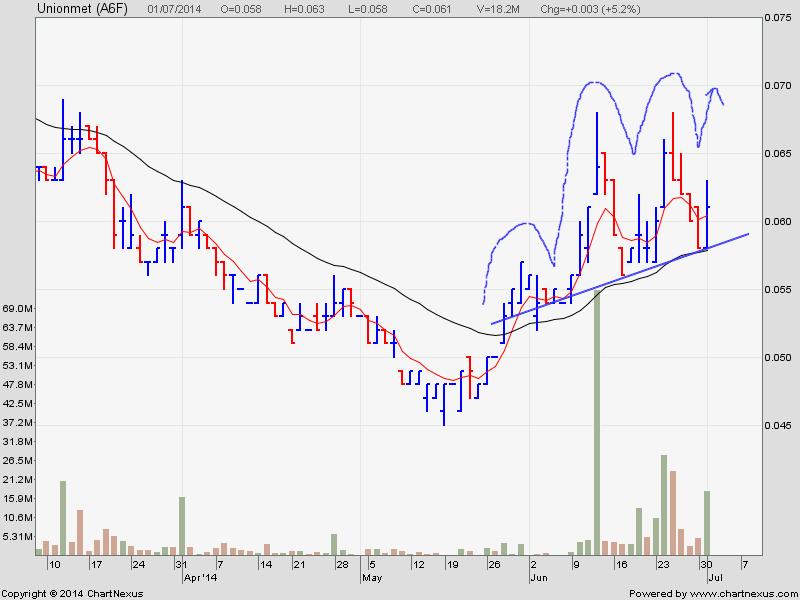 The BBs are not selling and this stock tend to move in wave. Furthermore, the stop loss is not triggered. I am able to hold on to this stock because I believed in my Stock Trading System which has an accuracy of around 85%. My system is able to tell me whether the BBs are still holding on to the stock. If the BBs are no longer in the stock, we better follow suit because we as traders can only piggyback them. You can enter this stock again. It will go up in the next 2-3 days. There is a resistant at $0.068. 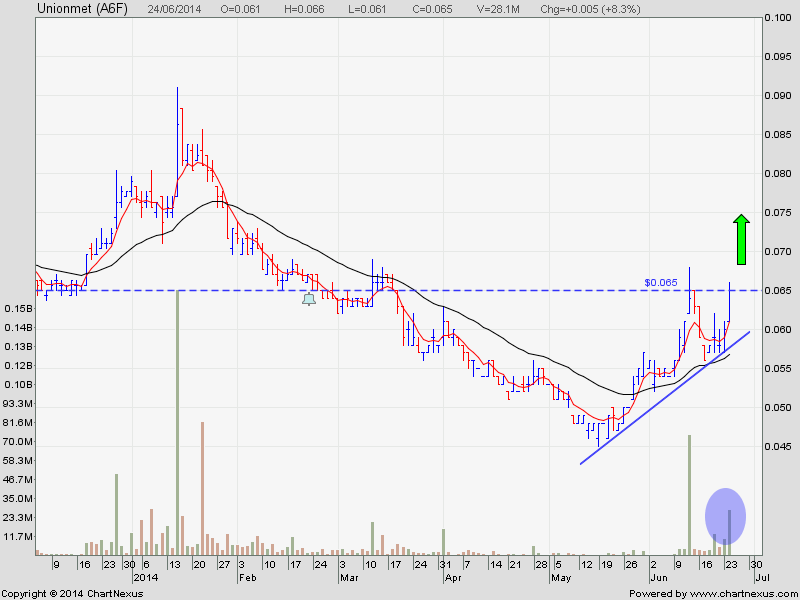 China Gaoxian, currently the hottest S-chip, had formed a bullish flag and is attempting a last breakout. The next hottest S-chip is Ying Li. Do watch out for it ! This is a penny stock. The BBs had stopped their selling. Buying volume started to pick up. For short term and intraday trade only. Exit the buy position manually once your profit is good.